Do you already have an online account? Please click here to reset your password. Effective as of June 1st 2017. By downloading, accessing, or using the Premium Coffee Finland OY’s platforms, you represent that you are at least 18 years old or you are at least the minimum legal age to enter into an enforceable contract in the jurisdiction in which you are using this site. In addition, when you use any future version of the Premium Coffee Finland OY or any changes made a part of any current version, you acknowledge and agree that you also will remain subject to this Agreement (as amended). 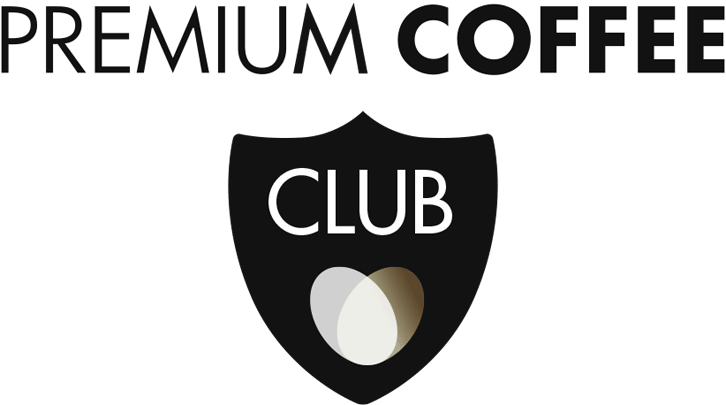 Premium Coffee Finland OY reserves the right, at any time, to modify the present General Conditions of Sales by posting a new dated version on this website. By placing an order after that Premium Coffee Finland OY has posted a new version of its General Conditions of Sales, you agree to be bound by that updated version. In order to register an account and order products and services from this website, the user must represent a Finnish-registered company with a Finnish delivery address. When you register on this website, you must ensure that the mandatory registration information you provide is correct and complete. Please inform Premium Coffee Finland OY about changes of address or other modifications by updating your personal details on this website without delay. When registering to use this website, you will be asked to create a password. You must keep this password strictly confidential and not disclose it or share it with anyone. You are fully responsible for the use of your password and any orders placed under it, even without your knowledge. If you know or suspect that someone else knows or has used your password, you should notify Premium Coffee Finland OY immediately. The content of our Websites and namely but not exclusively the texts, marks, logos, diagrams, photographs, videos, sounds, music, layout, designs, know-how, technologies, products, and processes are the property of Premium Coffee Finland OY or its affiliated companies or are used with the authorization of the owners, and accordingly are protected by copyright, trademarks, patents and all other intellectual or industrial property rights which exist under applicable law. You may download, display or print the content of our Websites solely for personal, non-commercial use, thereby retaining and reproducing each and every copyright notice or other proprietary rights notice contained in any information or other material you download. Any other use, including the reproduction, modification, distribution, transmission, or broadcast of the content of the Websites, in whole or in part and by any means, is strictly prohibited, except upon prior written consent of Premium Coffee Finland OY. Premium Coffee Finland OY neither warrants nor represents that your use of any content displayed on its Websites will not infringe rights of third parties. Any material, information and all that you find on the websites are furnished to you “as is”, in function of their availability, and without guaranty of any sort, express or implied, including, among others, the implied warranty of merchantability, or fitness for any particular purpose. Premium Coffee Finland OY does not guarantee that its websites or their content will correspond to your expectations, will not be interrupted, timely, secure and free of error. The content of our Websites may contain inaccuracies or errors. Premium Coffee Finland OY reserves the right to make changes, corrections and/or improvements to such content any time without prior notice but does not assume any responsibility to do so. As a service to our visitors, our websites may contain hypertext links leading to other websites that are not operated or controlled by Premium Coffee Finland OY. Premium Coffee Finland OY shall not be considered as responsible for these sites and declines all responsibility and liability in relation to their content, legality, accuracy or functions. You are solely responsible for determining the extent to which you use any content at any third-party websites to which you might link from the Premium Coffee Finland OY's platforms. Premium Coffee Finland OY is also not responsible or liable for any loss or damages incurred as a result of any dealings with any third-party web site, any merchant or operator of a third-party web site, or any other person with whom you engage in any transaction. The creation of any hyperlink to our Websites is prohibited without prior written consent of Premium Coffee Finland OY. Additional notices, terms, and conditions may apply to the purchase, return, or delivery of products. You agree to abide by such other notices, terms, and conditions, as applicable. If there is a conflict between this Agreement and other notices, terms, and conditions agreed with Premium Coffee Finland OY. Premium Coffee Finland OY, the parties shall resolve any conflict in good faith in its sole discretion, but the latter terms shall generally control with respect to your use or purchase of that product. Premium Coffee Finland OY welcomes your feedback and suggestions about Premium Coffee Finland OY’s programs and services or with respect to how to improve the Premium Coffee Finland OY online platforms. By transmitting any such suggestions, information, material, or other content (collectively, “feedback”) to Premium Coffee Finland OY, you represent and warrant that such feedback does not infringe or violate the intellectual property or proprietary rights of any third party (including, without limitation, patents, copyrights, or trademark rights) and that you have all rights necessary to convey and enable Premium Coffee Finland OY to use such feedback. The Premium Coffee Finland OY may offer certain tools, handheld offerings, or services that are available to you via your mobile phone or other mobile device (collectively, “Mobile Services”). Please note that your mobile carrier’s normal messaging, data, and other rates and fees will apply to your use of the Mobile Services. In addition, downloading, installing, or using certain Mobile Services may be prohibited or restricted by your mobile carrier, and not all Mobile Services may work with all carriers or devices. Therefore, you are responsible for checking with your mobile carrier to determine if the Mobile Services are available for your mobile devices. Nevertheless, all use of the Premium Coffee Finland OY's Platforms shall be in accordance with this Agreement. Copyright @ 2017 Hemi Group Holding SA.